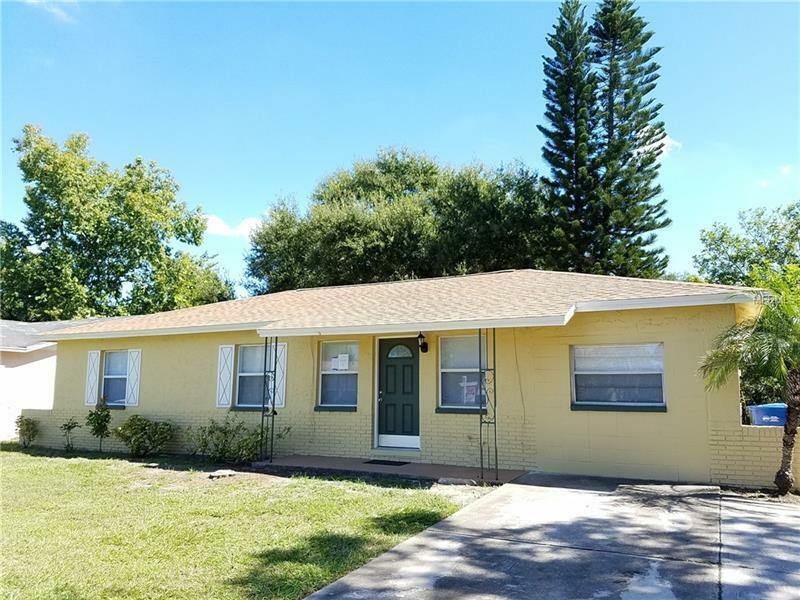 * * * DO NOT MISS OUT ON THIS BEAUTIFUL HOME * * * EXTERIOR UPDATES INCLUDE - NEW roof. NEW Central Heat/AC. NEW exterior paint. INTERIOR UPDATES INCLUDE - NEW interior paint. NEW flooring thru-out. NEW light fixtures and ceiling fans. NEW kitchen cabinets, counters with refurbished stainless appliance package. BOTH BATHROOMS completely refinished. FLOOR PLAN IS GREAT with living room, kitchen, dinette, large inside utility room and oversized family room (that could be 4th bedroom). LARGE rear yard with a BONUS utility shed that is perfect for storage, play den or shop. Nice location with easy access to all the amenities. Just minutes from Southwest Recreation Park with pools and tennis courts. Just minutes from Ridgecrest YMCA, Taylor Lake Park and Ridgecrest Park. 10 MINUTES FROM THE BEACHES ! ! !